The extra space will help accommodate brownfield modifications engineers from the newly formed Global E&C entity alongside Apollo’s consultancy team. Global E&C was established as a result of Global Energy Group’s purchase of a majority share in Apollo. Apollo bosses said they had already freed up more room to keep pace with the firm’s growth in recent years. 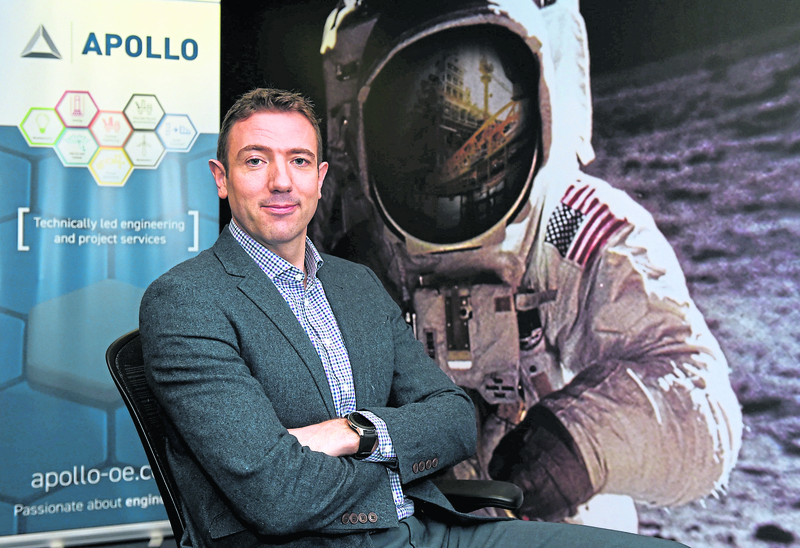 Managing director Ryan Menzies said Apollo’s headcount had more than doubled, to 120 from 50, in the last two years. The company doubled its office space at the start of last year to squeeze in the extra bodies. The base on Waterloo Quay now spans three buildings, linking the mid-19th century-built Nautilus House, with Ocean Spirit House and Provender House. The company has 7,800 sq ft at its disposal, compared to 3,200 sq ft when it first moved in.